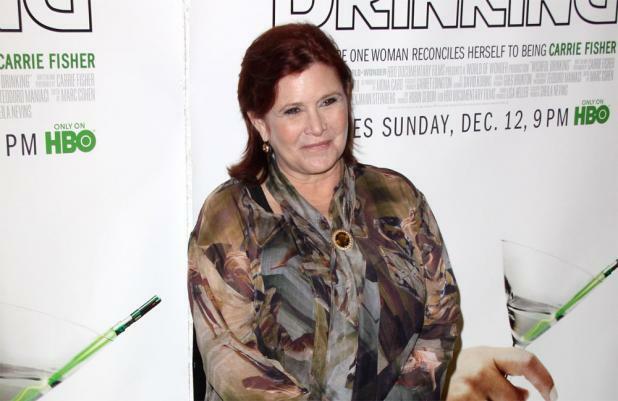 'Star Wars' actors Mark Hamill and Carrie Fisher have reportedly been told to diet for the forthcoming film. Producers of the eagerly anticipated 'Star Wars Episode VII' want Hamill, 61, and Fisher, 56 - who played Luke Skywalker and Princess Leia 36 years ago in the original 'Star Wars' trilogy - to slim down so they are able to resemble their characters in the earlier films. A source told The Sun newspaper: "Mark and Carrie need to be as close to their appearance in the earlier movies as possible. Producers are keen to help out and have offered support. The actors will be supplied with a nutritionist and fitness trainer to ensure they are in good shape before filming starts. It appears 71-year-old Harrison Ford - who played Han Solo in the original films - will not be under the same pressure as producers are happy with his physique. The trio are being reunited for the much anticipated sci-fi blockbuster which will be directed by J.J. Abrams, after Disney bought the rights to 'Star Wars' from creator George Lucas for almost £2.6 billion last year.